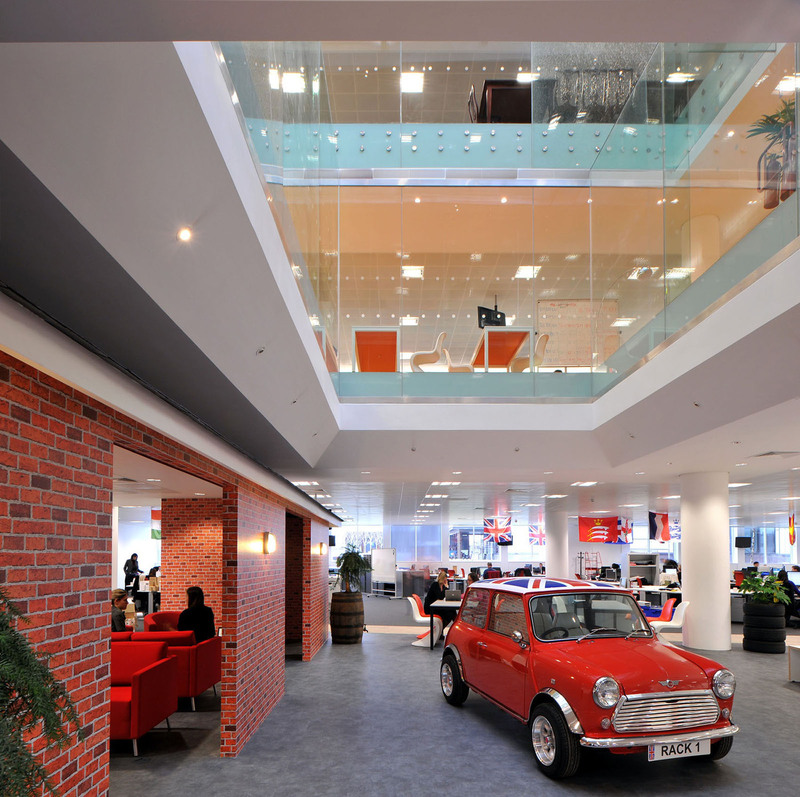 Office design firm Morgan Lovell has created an innovative and inspirational new office interior for the IT hosting company Rackspace, located in Middlesex, England. Every floor has a different theme. The ground floor has a garage theme with its own mini cooper. The first floor is a meeting lounge with a 70’s theme. The second floor is a library and a place for meetings with dark leather chairs and mahogany tables. The third floor is the garden with decking and fake grass. Also on the third floor is the boardroom with a replica of Number 10 Downing Street.